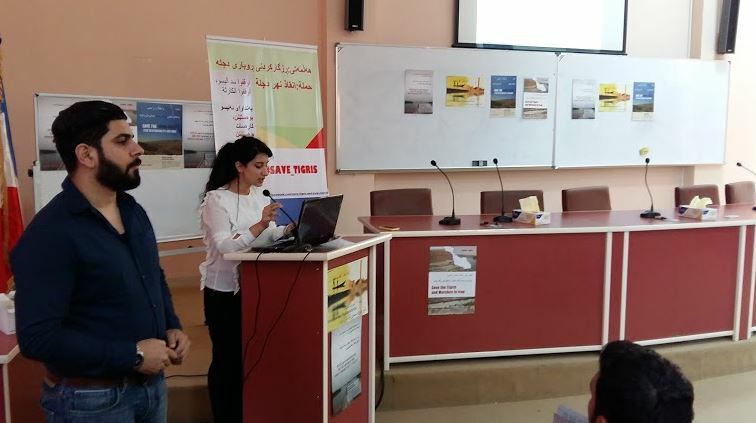 In cooperation with the University of Salah Aldin and the Save the Tigris and Iraqi Marshes Campaign, Al-Messala Organization held a seminar on the subject of large dams and their negative impact on humans, environment and biodiversity. 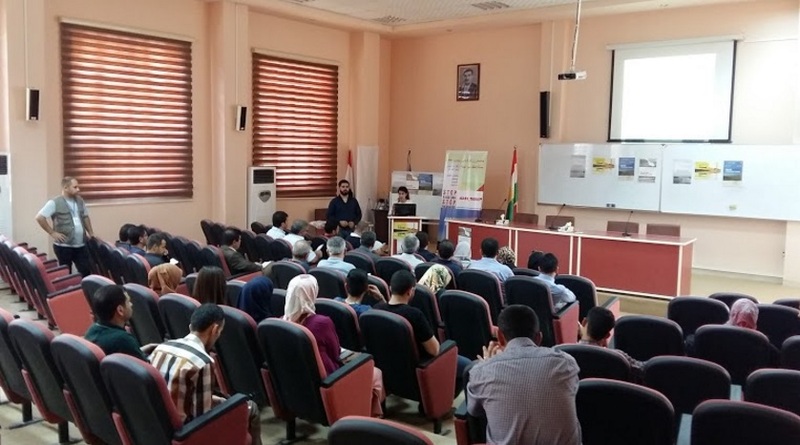 The seminar focused on Ilisu dam, the dam that is currently being built by Turkey on the Tigris River as well as other dams included in the GAP project. Outlined were the expected effects on Iraq and Kurdistan, as well as on the nominated World Heritage site of the Iraqi Marshes and other important sites such as the ancient city of Hasankeyf in Turkey. The seminar was attended by 50 students from the College of Science, who were very interested in joining the debate on this issue of dams. Emtinan Al-Jaleel of Al-Messala presented an introduction about the Save the Tigris and Iraqi Marshes Campaign, explaining its goals and activities, with a focus on the campaign’s opposition to large dams and Ilisu in particular. Moreover, she discussed the campaign’s position with regard to the use of dams and water infrastructure as a weapon of war in times of conflict. Professor Omid Hussein, (MA in groundwater management from the Department of Geological) contributed to the seminar through the screening of a slideshow which discussed large dams and their attributes. He also dealt with the effect of dams from an environmental, geological, economic, and social perspective. This seminar came to fruit of cooperation between Al-Messala Organization and the Deanship of Salah Aldin University. The University welcomed the work of the Save the Tigris Campaign and was very welcoming to host the event. However, there is very little to the negative impact of large dams in Kurdistan and it is still common impression that dams provide solutions. One can see the areas between Iran, Turkey and Iraq teeming with projects of large dams that threaten the future of the region. Water scarcity, environmental changes, displacement of populations; all these issues are connected to the construction of large dams. Moreover, in light of the urgency of this issue, further collaboration between civil society and universities is needed for action. Call for Action to Protect the Marshlands of Mesopotamia!Will Iraq’s wetlands join World Heritage List?